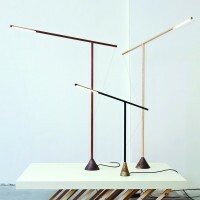 Dutch designer Mieke Meijer has created the Balance v2.0 lamp. 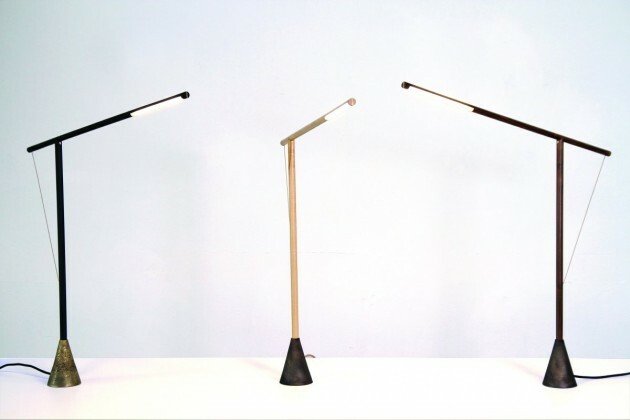 Balance is a wooden LED lamp that only lights up when perfectly balanced. The will to use it must be stronger than the fear of disturbing the balance. 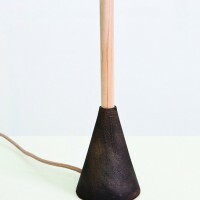 The lamp was designed for the exhibition ‘Untouchables’ by collective Dutch Invertuals and first presented during Dutch Design Week 2011 in Eindhoven. With this exhibition the designers present their responses to the prevailing spirit of insecurity of our times and the downside of freedom. They transposed the theme of vulnerability into contemporary designs. Balance, delicacy, curiosity and transience have formed their inspiration. Mieke Meijer’s response to the theme was that finding the right balance is a key element of your overall wellbeing. 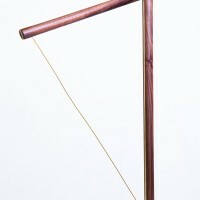 She translated the theme of vulnerability into a lamp that consists of two balancing wooden posts connected by a single wire. In the past 6 months Mieke Meijer developed the prototype both technically and aesthetically and presented it again during the Salone del Mobile as part of the exhibition ‘Untouchabled Retouched’ by Dutch Invertuals. LEDs are hidden within the horizontal post. Over the entire length of both posts a brass strip conducts the low voltage current. When the brass strips touch, the electrical circuit is closed and the light turns on. 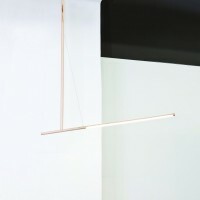 The lamp is adjustable by sliding the horizontal post. In this design the advantages of LED technology such as low power consumption, brightness, small size and long life are sympathetically combined with tactile materials such as walnut wood and cast bronze. 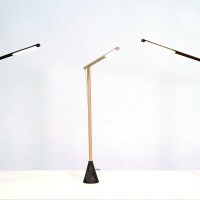 The lamp is available as table and floor model in three different material combinations. 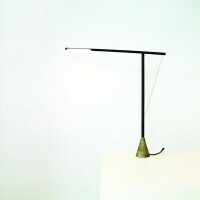 By leaving out unnecessary details, the lamp has an archetypal, almost graphic appearance. Visit Mieke Meijer’s website – here.